Republican leaders lashed out at a decision by President Barack Obama to sidestep Congress and appoint Donald Berwick to the top post at the CMS. “Democrats haven't scheduled so much as a committee hearing for (Berwick), but the mere possibility of allowing the American people the opportunity to hear what he intends to do with their healthcare is evidently reason enough for this administration to sneak him through without public scrutiny,” the Senate's top Republican, Mitch McConnell of Kentucky, said. “Dr. Berwick is a self-professed supporter of rationing healthcare and he won't even have to explain his views to the American people in a congressional hearing,” Barrasso said. “It's unfortunate that at a time when our nation is facing enormous challenges, many in Congress have decided to delay critical nominations for political purposes,” President Obama said in a written statement announcing the appointment. “Dr. 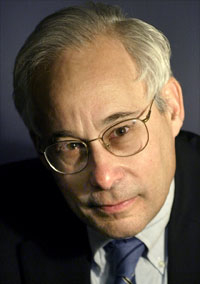 Berwick has dedicated his career to improving the quality and safety of our nation's healthcare system, and will bring a wealth of knowledge and practical experience to CMS from his perspective as a physician, teacher and passionate advocate for high-quality care,” the groups wrote in a letter sent to congressional leaders. The Constitution allows for such procedural moves, known as “recess appointments,” to be made. Historically, most appointments have come during longer-term breaks in the Congressional schedule. The CMS has been without a permanent administrator since 2006, when George W. Bush appointee Mark McClellan left the post. Berwick's appointment will hold until late 2011, when the current legislative term draws to a close.